Our £480m airport development programme is underway. We’re transforming London’s most central airport to make the passenger experience even better and create an airport for the future that serves everyone. The programme is being delivered alongside our delivery partner Bechtel and will see eight new aircraft stands, equivalent to the size of 11 football pitches, being built, the creation of the UK’s first Digital Air Traffic Control Tower, a full length parallel taxiway and the easterly and westerly extensions of the terminal, quadrupling its size. Throughout, the airport will use the latest energy technology and construction techniques to achieve a BREEAM very good rating. LCY’s growth will also create even more opportunities for our local communities, including more jobs, more school engagement, more investment and contracts across our supply chain. If you have questions or would like to find out more about the four-year half a billion pound City Airport Development Programme, please email thefuture@londoncityairport.com. If you’re a local resident and you would like to find out what the expansion means for you and your community, you can contact London City Airport’s Community Relations Ambassador, Aaron Uthman at Community@londoncityairport.com. To keep locals up to date, we have launched a London City Airport community magazine, Inside E16, which is released on a quarterly basis, keeping in line with the seasons; Spring, Summer, Autumn and Winter. 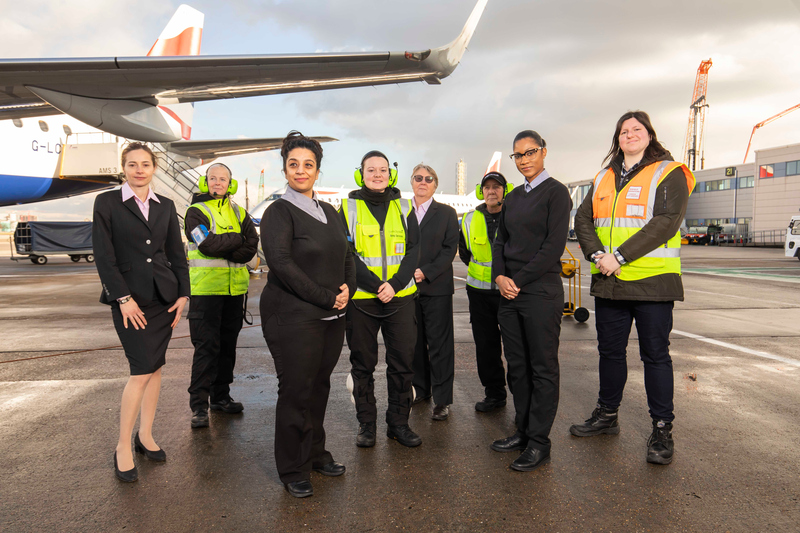 The purpose of this magazine is to keep residents updated on the latest news from London City Airport, including the progress on the transformation. Find the archived magazines here. We will be charting the progress of the City Airport Development Programme through short videos, going behind the scenes of work taking place. The first two videos can be seen below, which focuses on the process to build a new concrete deck, the size of 11 football pitches, above King George V Dock, and the significant survey work to search for any Unexploded Ordnance (UXO), such as World War Two bombs. In this first video about the construction project, Peter Adams, London City Airport's Chief Development Officer, introduces the two-year piling and decking phase. The 'piles' are the steel and concrete columns that will support a new 75,000m² concrete deck. This concrete deck is, in essence, the new 'land' upon which the new terminal infrastructure and parallel taxiway will sit, above the dock waters of King George V Dock. Over 1,000 piles will be installed in the dock bed, and this video takes the viewer behind the scenes with the piling and decking contractor, BAM Nuttall, to explain the method used. This video goes behind-the-scenes of the major unexploded ordnance (UXO) survey taking place in King George V Dock next to London City Airport - the largest inshore diving project in the country. Since November 2017, an expert team of divers and surveyors have been checking over 400 sites on the dock bed, ensuring that the areas are safe of debris, to begin construction works. As part of this process, several interesting historic discoveries have been made. In February 2018 a 500kg German bomb was found just to the south of the terminal’s east pier, leading to the closure of the airport and the implementation of a 214m cordon while the Royal Navy removed the ordnance for detonation off Shoeburyness. The survey is essential to ensure the safe installation of 1,100 piles (steel and concrete columns) in the dock bed, which will support a concrete deck the size of 11 football pitches, as part of the £480 million City Airport Development Programme. As part of the City Airport Development programme works around the Dock Wall of the Airfield are required. A number of access chambers will be created to enable the connection of the new drainage system into the existing airport facilities. The works on the initial chamber will be completed on Saturday afternoons between 12:30 – 22:00 on the 6th, 13th and 27th of April. The airport will be closely monitoring the noise levels and if necessary additional mitigation measures will be employed. The airport’s new Goods Inwards Facility has started to be assembled in the Western Service Yard on the west side of the terminal. The steel beams and trusses are lifted into position by a crane and bolted together to form a structure which will then be clad and fitted out. Subject to approval by London Borough of Newham, this work will take place over the next few weekends. The works will be restricted to those activities which are unlikely to cause disturbance and will be closely monitored to ensure that noise levels are minimised. Changes to the airports forecourt operation, including taxi pick up and drop off, commenced on April 21st. More information will follow. From Wednesday 26th September, a new pick-up area opened to allow further construction works to take place. The diagram shows how vehicles (private vehicles and minicabs, including Ubers) will now enter the pick-up area via a new ramp entrance off Hartmann Road and exit at the car park barriers, following a one-way system. A new pedestrian route for passengers has been created to walk between the pick-up area, on-site car park, and the terminal, which can be seen highlighted in green on the diagram.